YouTube fans are always searching for a best way on how to download YouTube videos on Mac easily and legally. As there are many Mac YouTube downloader or YouTube downloader online services through the Internet, it is a little bit hard to choose the best YouTube downloader for Mac. No worry! Here we share 6 easy ways to help you download videos from YouTube on Mac for free, including download YouTube videos with URL, YouTube download plugin, directly download YouTube from browser Chrome or Safari, download YouTube online, etc. Read on and learn how to download YouTube videos on Mac (macOS 10.14 Mojave,10.13 High Sierra, 10.12 Sierra and 10.11 EL Capitan included). If you want an easiest way to download videos from YouTube on Mac, we highly recommend you to use iTube Studio YouTube Downloader for Mac. This YouTube downloader Mac allows you to download any YouTube videos on Mac for free. You can download YouTube 4K UHD videos, YouTube VEVO, and the whole YouTube playlist. Download not only YouTube videos, but also online videos from Facebook, Lynda, Metacafe, Bilibili, FC2, and 10,000+ sites. 1 click download YouTube to MP3 format in high quality, or extract audio from a video to any popular audio format. Support YouTube HD Video downloading, as well as batch download YouTube playlist and Lynda playlist at the same time. Record unable to download videos from Hulu, Netflix, iTunes, CNN, Hollywood videos and any other sites easily. 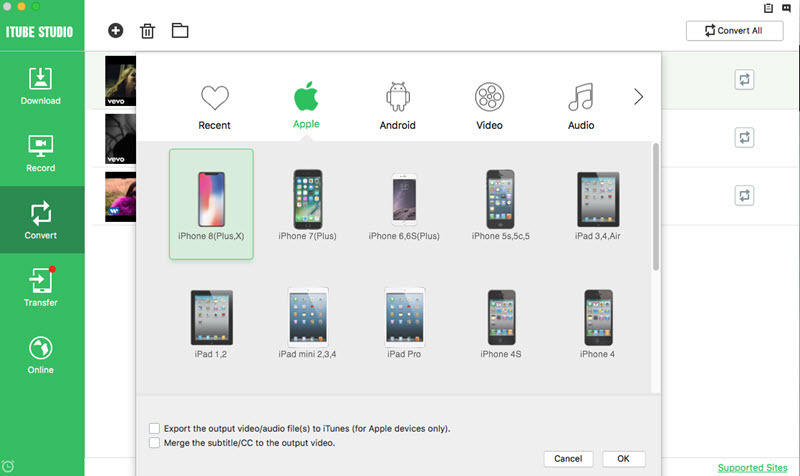 Convert videos to any video formats, or directly to optimized preset for iPhone, Android or other devices. Transfer downloaded YouTube videos to portable devices with USB connected in order to enjoy on the go. Private Mode to download videos in secret with a password known by yourself only protected. Download and start installation of iTube Studio YouTube Downloader (macOS High Sierra, Sierra, EL Capitan, Yosemite, Mountain Lion included). It's superb easy to use! After that, launch the YouTube video downloader to its main interface. Open your browser Safari, Chrome or Firefox and visit YouTube. When you watch a video, you will see the "Download" icon appearing at the top left corner of the video. And several web pages can be opened to download videos at the same time. Click the "Download" button and it will start the downloading process for YouTube video automatically. The download process can be checked in "Downloading" tab. And in "Downloaded" tab, you will find downloaded YouTube videos. You can see the downloaded videos on the list by clicking "Download" menu on the left side of the YouTube Downloader for Mac window. With the built-in FLV player, and right-click the program and choose "Play" option in drop-down box, you're able to view or play the video. To convert downloaded YouTube video, click the "Add to Convert List" icon on the right side for each video in "Downloaded" tab. You can add the video to "Convert" menu by doing this. Open the "Convert" menu, and you can convert YouTube videos to iPod, iPhone, iPad and all popular devices. Find the "Convert" icon on the right of the video, click it. In the window that appears, choose from about 153+ output formats and click "OK" to start conversion. Then you could switch to the Transfer tab, and easily transfer converted or downloaded YouTube videos to your mobile devices to watch YouTube at anytime. 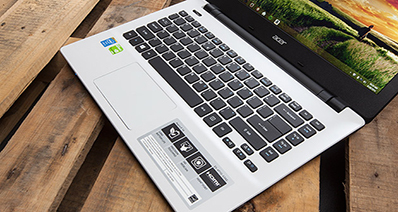 If you use Chrome browser, you can download YouTube videos on Chrome directly on your Mac. To do so, you need a YouTube downloader for Chrome add-on. You can find and download one from Chrome Web Store. After installing the YouTube video downloader add-on on your Chrome browser, the video download can be easy. 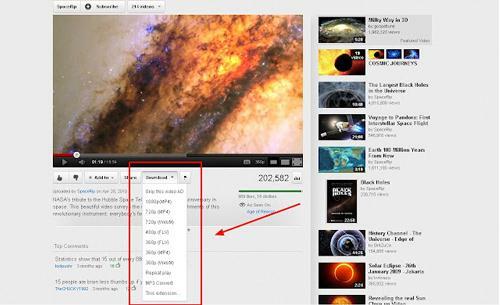 Just open YouTube video, and the add-on on your Chrome browser will be highlighted. Simply press the add-on button to download the video. You can also directly download YouTube videos on Mac with a "Kiss", you can directly download Youtube on Mac from the Internet. To download a YouTube video, what you need is a YouTube video URL. When you open a YouTube video URL, you just add "Kiss" before the URL in the address bar. For example, the URL of www.youtube.com/watch?v=gRsQeRxHs29, now add a “kiss”, the URL changed to www.kissyoutube.com/watch?v=gRsQeRxHs29. And then your browser will parse the URL and open the download page as the image shown. There you can download the video with ease. Another easy way to download YouTube to Mac is to use online YouTube downloader like Zamzar. 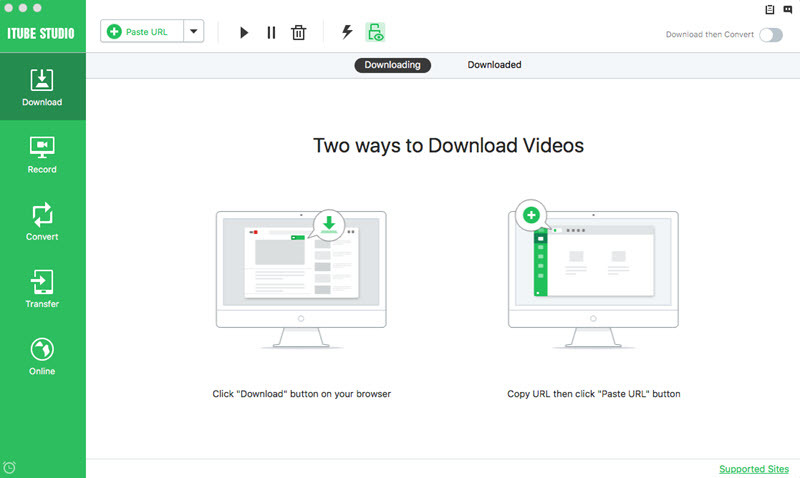 Before we dive into the guide, note that Zamzar not only allows you to download videos from popular video sharing sites, including YouTube, but also acts as an online file converter. The online YouTube downloader supports a wide variety of formats, so if formats are your primary concern, the web-based YouTube downloader for Mac will never disappoint. Using Zamzar is as easy as pie. The online app’s main page has an entire user interface (all in the same place). Immediately you land on the home page, you’ll get these options instantly: browse your file, specify the format to convert to, enter your e-mail address, and upload and convert your file options. Step 1: Open the video you’d like to download from YouTube or any other popular video sharing site. Copy its URL and head on to the next step. 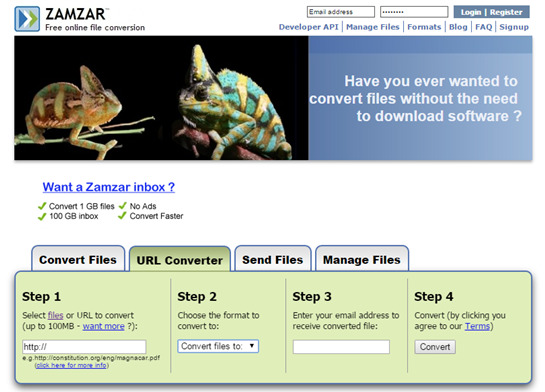 Step 2: Go to Zamzar’s main site, and paste the URL in the field provided on the main page. Step 3: Specify the format in which you’d like your video to be output in. Step 4: Provide your email so that you can receive the file after it has been converted. Step 5: Finally convert and save your video. Agree to the app’s terms and click convert. 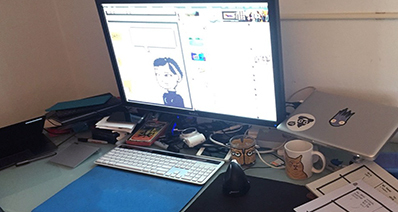 After a few moments, your video will be ready for offline viewing anytime and anyplace. Step 1. Go to the website of Limewire and you can get the basic version for free. 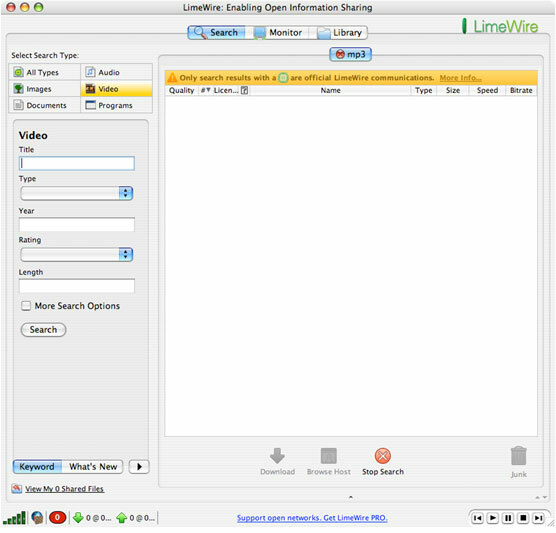 Install and launch the Limewire Mac downloader. Step 2. Input whatever you want and click search, you'll find lots of files for you to download. Step 3. 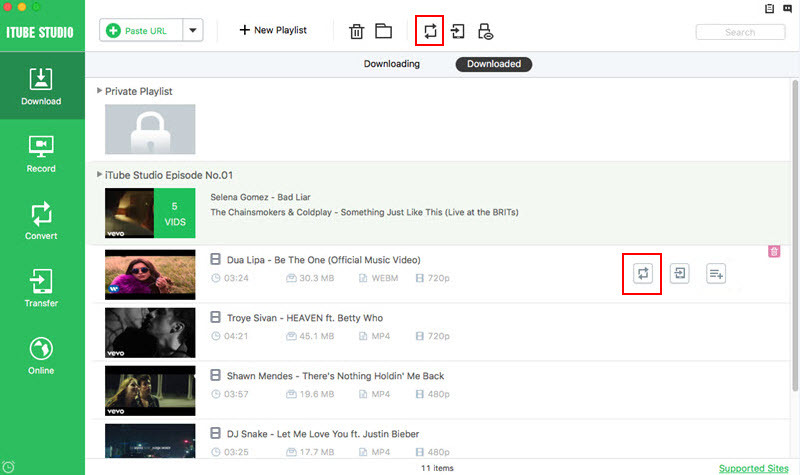 Then click "Explore" when you finished downloading the file, and you will find your download videos on Mac. You can find and get the file by clicking Download button. What's more, several files can be downloaded at the same time. Windows version can be downloaded if you want to download videos from Limewire on your PC. If you can't find the YouTube and Limewire videos files that you need, refer to the guide to know the method of converting downloaded files to other format. Alternatively, you can also download the YouTube video clips to your Mac by RealPlayer. Below is a brief guide on how you can start downloading videos from YouTube in just a few clicks. Step 1: First install RealPlayer to get to RealPlayer YouTube videos Downloader on your Mac. Step 2: Restart the browser and open the YouTube video you wish to save to your local storage. Step 3: Click the RealPlayer Downloader button popping up at the top part of your browser. Step 4: Then tap on “Download This Video” option. Your video will consequently download to Real Player Library. As the download continues, it will show up in the RealPlayer Downloader window. That’s all! After some seconds, click on newly downloaded video in the RealPlayer Downloads folder o start viewing the video online!